A few watchful readers have seen already that I was sporting a Montane Fireball Smock here and there, and have requested further information. I shall not disappoint, and here's a first look at this fine insulation garment. 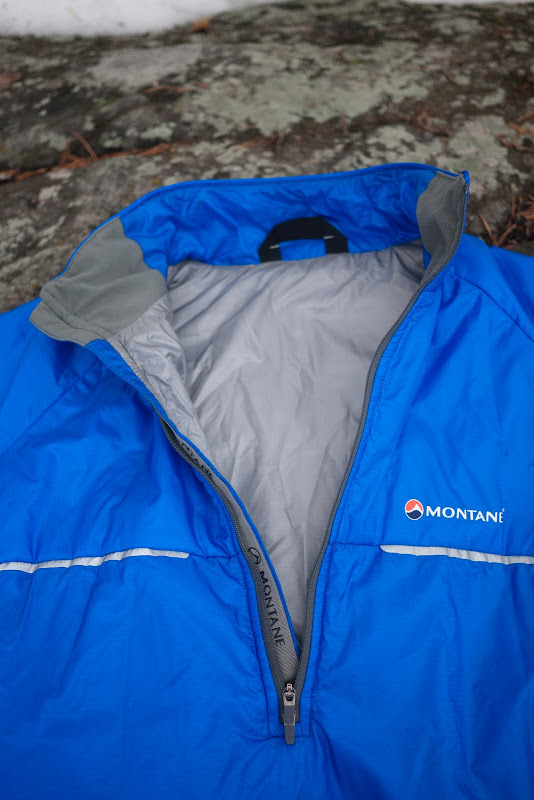 It is 262 g in Size M, which will be of interest to the weight conscious hiker and trailrunner. 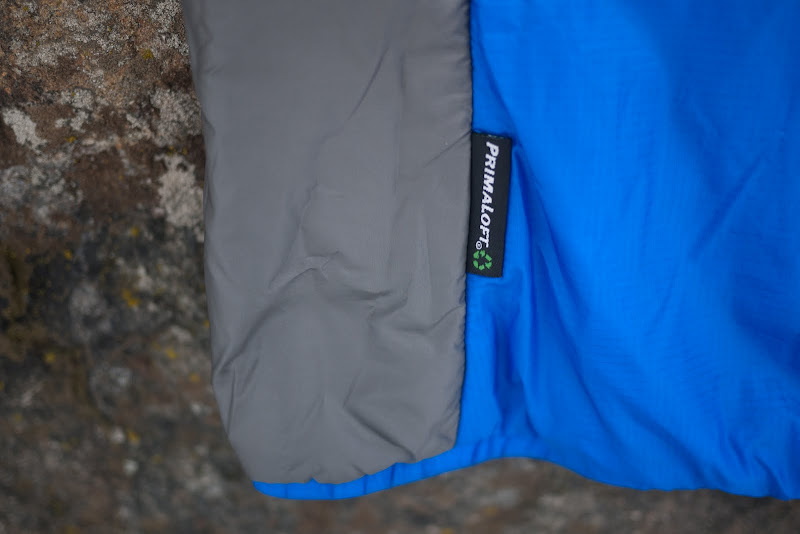 Filled with Primaloft Eco and covered in Pertex Quantum, it is warm, soft to the skin and keeps wind, snow and water out. 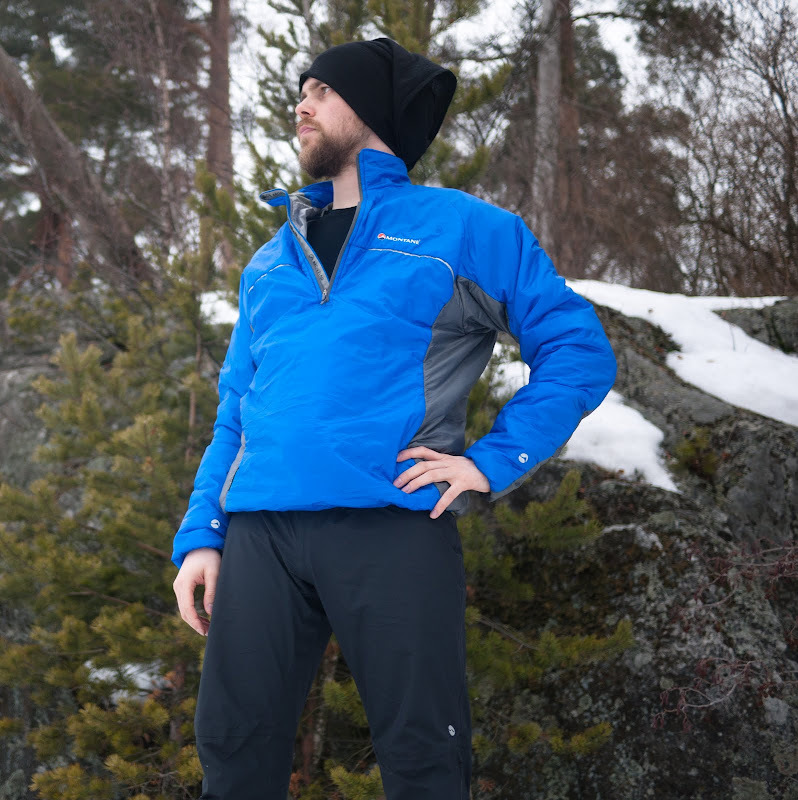 I used it in Siikaneva and Repovesi as well as on trail runs, and it does not fail to fulfill my expectations. It is roomy enough to wear it over my shell layer, and it is so warm that I didn't need to wear the down pullover I brought on those trips. On my next trips I will leave the down at home and just take the Fireball, it's that warm. A look on the double zipper and the soft chin covers in the collar. Filled with Primaloft Eco (50% recycled fibers) makes me a happy and warm man. It has no pockets, which is fine for me. The reflective details are great for the dark months of winter when you wear it in the city, ensuring your safety. It has a stuff sack and can be compressed to the size of an orange, thus won't take much space in your pack - though I usually have it on the outside for quick access. 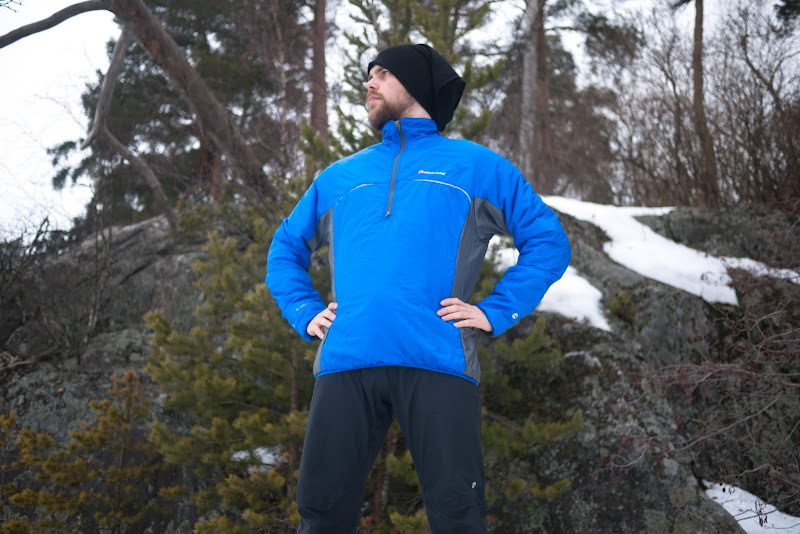 The double zipper allows you to vent with the top closed around the neck, and venting you'll need if you decide to wear it while hiking, it is pretty damn hot. Available in the autumn from a dealer near you, or from the Ultralight Outdoor Gear Montane Pro Store.